Okay, you’ve managed to get an invitation to Google+. Now what? As with any new social platform, Google+ takes some getting used to. While the visual aspect looks a lot like Facebook, there are a number of differences. The big stuff is usually easy to find, but some of the finer tuning is not so obvious. First, if you are not already familiar with Google+, I’d advise checking out Google’s rundown at The Google+ Project. The videos there should get you grounded, and the following questions and answers will help refine and simplify your use of the platform. 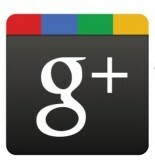 1. Who can see my posts on Google+? That depends entirely on you. Anything that you post as public is visible to everyone on the Web. Anything you post to one or more circles is visible only to the people in those circles. If you have selected Extended Circles, it means that the friends of those in your circles can see it as well. I see a lot of people expressing surprise at the ability to make a post and select only certain individuals as the recipients — much like the Direct Messages of Twitter, this allows for private, “on the fly,” conversations. 2. I can’t remember who is in the Circle I’m posting to. What’s an easy way to find out? Look at the title and date stamp of the post: To the right, you should see the word “Limited.” If you click it, it will show you the profile pictures of everyone you’re sharing it with. 3. How do I add bold, italics, etc., to my text? Bold: Add * before and after the message. Example: *Wow! * would display as Wow! Italics: Add _ before and after the message. Example: _Wow!_ would display as Wow! Strike-Through: Add – before and after the message. Example: -Wow!- would display as Wow! 4. Is there an easier way to add photos, videos, and links to my posts? Yes, Google+ allows you to drag and drop any of these into a post. 5. How do I tag someone in Google+ the way I do in Facebook? Type the “+” and start typing the person’s name, no spaces between the two. At the moment, this also works with the “@” sign as well, so sticking to your Facebook tagging habits is fine. 6. I need a permalink to a Google+ post. How do I find one? Next to the post, you will see a time stamp. If you click on that, you will get the permalink for the post. 7. I’m getting buried by all these email notifications. How do I stop them? Go to https://plus.google.com/settings/plus, where you will find a checklist for both email and mobile (i.e. text message) notification. Uncheck the ones that are bothering you. 8. I made a post and the comments have gone nuts. How do I stop seeing the flood of verbiage? This is a favorite feature of mine. If you look in the upper left of each post, you will see a small “down arrow.” When you click it, you can Mute the post, so that you only see the conversation when you are looking at the post itself. You can also use this drop-down menu to report spammers, block someone, and get a permalink. 9. Can I export my Google+ data and back it up? Yes, indeed you can. They call it “Data Liberation,” and I am very happy to see it. To download your info, click your name or email address in the Google+ bar, select “Account settings” from the pull-down menu. You will see “Data Liberation” as one of your choices: select it. Click “Download Your Data” to export all of it, or you can select to only download a single service. 10. I love my smartphone. Are there Google+ apps yet? Yes. The iPhone app was released two days ago and so far it seems to be pretty solid. The Android app has been out for awhile now (hardly surprising, really). Other smartphones will continue to have to use the HTML version through their browsers. The good news is that the browser version is pretty good; the bad news is that you cannot share through it (at least on the iPhone; I have not tested Android yet). So, there you go! Those are the ten most common questions I get at this point.But here’s one more helpful tip. Some circles are obvious — Friends, Family, People Who Amuse Me Greatly, etc. — but Circles can be a lot more useful than just sorting out your friends. For instance, I have a circle titled “To Read.” When I find something I don’t have time to read, I just share it with that circle, which has no members. This creates a nice, handy, private reading list. For a great list of pro tips about Circle Management, check out this post on Inside Google Plus. While I adore the Circles approach, and it works very well with my personal data-management style, there are concerns. For one thing, there’s the ability of people to email you when posting to Circles, even if you’re not in them. Notice that while this post will be going to my Geeks N Gamers circle, I could also check the radio button and send it to people I’ve added to the circle who are not using Google+. When the floodgates open, we will see a flood of black-hat marketers and spammers arrive, and that function will allow a veritable flood of unsolicited emails. Let’s hope that the G+ team has a fix in place before then. I certainly hope you find this useful. We would love to hear about your favorite tips and tricks in the comments, if you’re willing to share them!